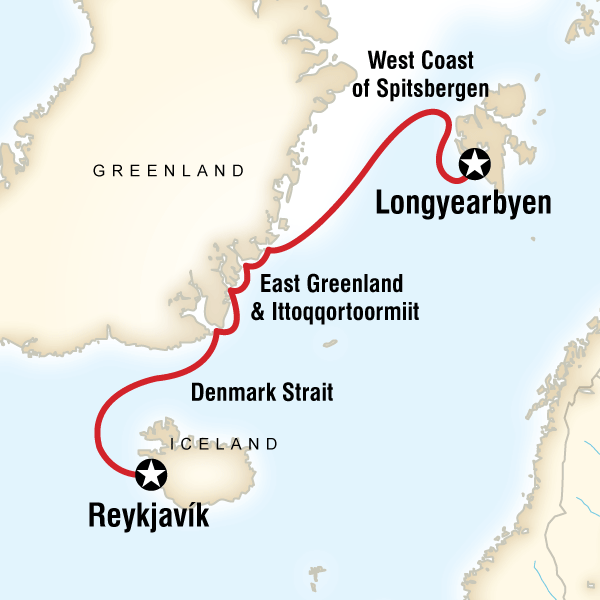 Arctic cruise adventure vacation. Helping Dreamers Do. More info:Price includes: 13 nights on board the M/S Expedition - All meals included on board the ship - 10 expedition staff and naturalists - Zodiac excursions - Visit to local community. Our crew and expedition team act as stewards of the environment and are well versed in the strict environmental protocols on board and on land. All of our travelers are thoroughly briefed in these protocols before being allowed to participate in excursions and are always supervised by our team when on shore. We provide battery chargers and rechargeable batteries on the ship for use by our travelers as a way to decrease the consumption of batteries and their harmful effects on the environment. The vacation was great throughout but the highlight has to be seeing our first polar bear with 2 cubs! The scenery was also spectacular.